Used as demarcation for shallow water or nearshore installations. • Small and light weight for easy installation. • Made for high UV environments; color will not fade or bleach. • Integrated central pipe to allow customization. 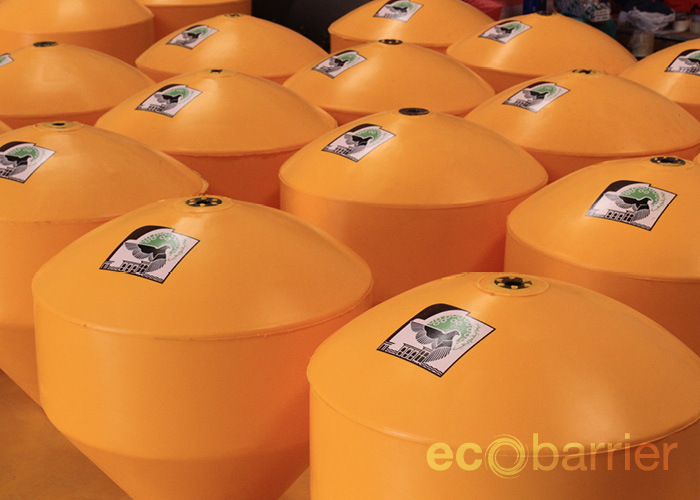 • Complete closed-cell PU foam filling, designed to float even if outer shell is ruptured. 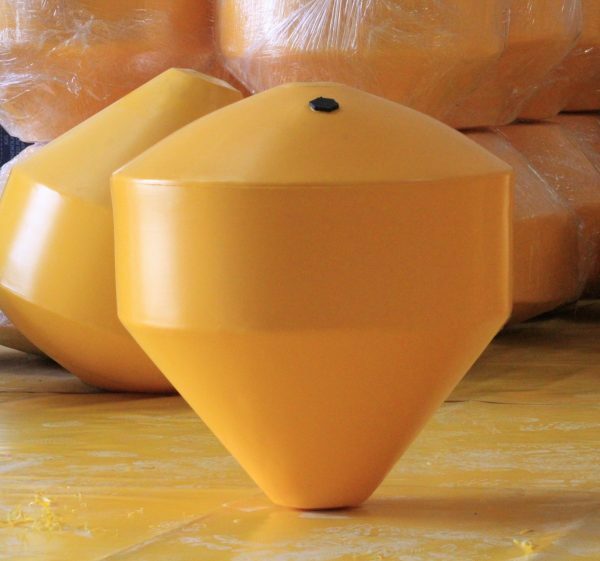 Applications Shallow water or nearshore installations. 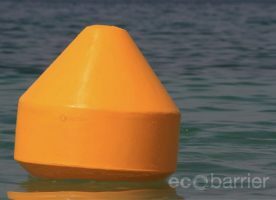 Small and lightweight, the 650 mm Ecobarrier Floating Buoy is used as demarcation for shallow water or nearshore installations, ideal for marking safe water zones and limits of swimming areas, temporary construction areas and racing marks. 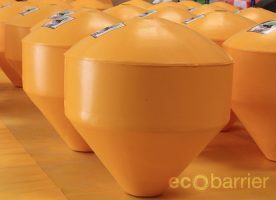 Manufactured from strong, durable UV-stabilized virgin polyethylene, it is filled with closed-cell polyurethane foam for additional strength and durability. 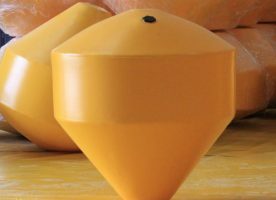 It is rotationally molded with a wall thickness of 7 mm and can be customized with mould-in graphics, a solar lantern or signage, if required. The Ecobarrier Floating Buoy is approved by Dubai Municipality.